Yes, it is that time of the year again. Unfortunately the summer seems to have come to an end and the leaves are starting to fall from the trees. There is only one thing that keeps me from turning into a creature worse than Grumpy Cat; the end of the Summer marks the start of our convention season! 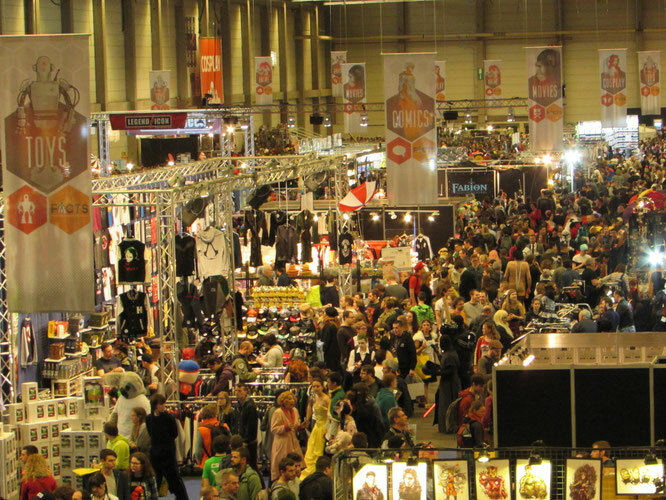 The season usually starts with the FACTS - Fall Edition, followed by the Weekend of Hell - Fall Edition and finally the Dutch Comic Con - Winter Edition. Over the last years I have never missed an edition of FACTS (Fall and Spring) and I am continuing this streak in the upcoming weekend. Although it's not possible to go for an entire weekend, Tristan and I wil be visiting FACTS this upcoming Saturday. So let's talk about the guests of FACTS Fall Edition 2018 (29&30 September 2018 in Flanders Expo, Ghent). Attention Whovians! The Tenth Doctor is coming the FACTS! In 2005, the immensly popular TV show "Doctor Who" returned to the screens, after an absence of 16 years, with Christopher Eccleston in the role of the titular Ninth Doctor. However, it soon became clear that Eccleston would not be reprising his role for the second season, thus making way for a new (Tenth) Doctor. I am of course talking about the wonderful David Tennant. He played the role for three series and 9 specials and is still considered as one of the best Doctors ever by a lot of "Doctor Who" fans. David John Tennant was born David McDonald April 18th 1971 in Bathgate (Scotland). When he was only three years old, David told his parents that he wanted to be an actor. The reason was that little David was a big fan of "Doctor Who". His parents, however, tried to discourage this and pushed him towards a more conventional career. But David did not give up on his dream and he watched almost every episode of "Doctor Who", growing up. He was set on becoming an actor and appeared in school productions throughout primary en secondary school. Edith MacArthur ( a Scottish actress) spotted him when he was only 11 years old and told David's parents that he had enough talent to become a successful stage actor. David also attended Saturday classes at the Royal Scottish Academy of Music and Drama. When he was 16 years old, David passed an audition for the Academy and become one of their youngest students ever. He made his proffessional debut at the age of 16 and the rest is history. Fun Fact: David's stagename was David Tennant. He took this name from Neil Tennant, one of the frontmen of The Pet Shop Boys, after reading a magazine. He had to legally change his name to Tennant, to meet the rules of the Screen Actor's Guild. As I already mentioned: David is regarded as one of the best Doctors ever by a lot of fans, but he also appeared in a lot of other TV shows and Movies. Some examples are: "Harry Potter and the Goblet of Fire" (as Barty Crouch Jr.), "Fright Night" (2011 remake, as Peter Vincent),, "The Escape Artist" (as Will Burton), "Jessica Jones" (as Killgrave), "Broadchurch" (as D.I. Alec Hardy) and much more. Besides this David is also a very talented voice actor; one of his roles is the one of Scrooge McDuck in the new "Ducktales". Attention: David will be attending only Saturday! The man behind one of the most hated characters of the "Harry Potter"-franchise is finally making his way to Ghent. Tom Felton played the role of Draco Malfoy in all the "Harry Potter" movies and he did a great job. I mean I really hated that little dude. Thomas Andrew Felton was born 22 September 1987 in Epsom, England. He began his acting career appearing in commercials at the age of 8. During his childhood years Tom was also a talented choir singer. He was a member of four school choirs and he was offered a position in the Guildford Cathedral Choir. Fun Fact: When he was young, Tom was a big fan of Eminem and he wanted to become a rapper. He made his movie debut in 1997 in "The Borrowers" (as Peagreen Clock). Following this he also played opposite Clive Owen in "Second Sight" (as Thomas Ingham) and opposite Jodie Foster in "Anna and the King" (as Louis T. Leonowens). In the early 2000s Tom auditioned for the role of Harry Potter in the movie adaptation of J.K. Rowling's fantasy novels about a young wizard. 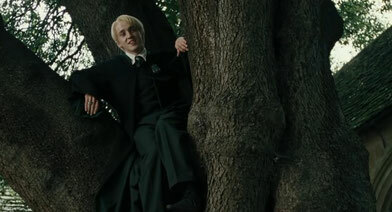 He also tried out for the role of Harry's best friend Ron, but eventually landed the role of Draco Malfoy. This was the beginning of a truly magical journey of 8 movies. Fun Fact: By the third movie Tom had to get his robes sewn shut, because he kept on sneaking food on set under his robes. Lately Tom has been starring in "The Flash" as Julian Albert/Alchemy and he will be starring in the upcoming web series called "Origin". Besides being an actor, Tom is also a very gifted musician. He can play harmonica and guitar, but he can also sing. Check out his YouTube Channel for some great videos. Fun Fact: The first CD Tom ever bought was Dookie from Green Day. We surely haven't heard the last of him yet! Tom will be attending FACTS on both Saturday and Sunday. Get ready for Mr. John Barrowman, because with Barrowman everything goes! John Barrowman is mostly known for his roles as Malcolm Merlyn in "Arrow"/"The Flash"/"Legends of Tomorrow" and Captain Jack Harkness in "Torchwood"/"Doctor Who". 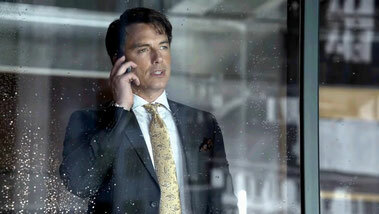 John Scot Barrowman was born in Glasgow (Scotland) March 11th, 1967 as the youngest of three children. When John was 8 years old, the company where his father was employed relocated and the family moved to the Illinois in the United States. The family settled in Joliet, where John attended Joliet West High School. There were two teachers at this school, that changed Barrowman's life. His music teacher inspired him to perform, while his English teacher encouraged him to bloom artistically. This English teacher enrolled him in a Gifted Programme and coached him for the school's speech team. Over the years Barrowman competed in statewide speech competitions. He tried to sharpen his speech skills, by reading scenes from plays. As a freshman John landed some roles in musical productions as "Oliver!" and "Anything Goes". In his senior year his father arranged him a job as a coal shoveler, to introduce him to manual labour. His father wanted him to find out if he would like to work with his hands for the rest of his life, because if he did not want to do that he had to take his education very seriously. Barrowman did not like it and after graduating he moved to San Diego, to study Performing Arts. He also became a naturalised US citizen (John has a dual citizenship for the UK and the US). As part of an exchange program, he returned to the UK to study Shakespeare for 6 months in 1989. It was in this same year that his professional career began in London's West End. He got the role of Billy Crocker in Cole Porter's play "Anything Goes". In the decades following Barrowman grew out to be a Jack of all Trades. He kept playing theater productions, presented TV shows, acted in movies/series , made music and even wrote some books. At FACTS Barrowman will be giving one of his legendary "Anything Goes" shows. In this one hour long one-man-show John will display his unlimited energy to the fullest. John Barrowman will be attending FACTS on both days. Once upon a Time a little girl was born in Chicago (US). The time was April 12th 1979 and the girl's name was Jennifer Marie Morrison. And now 39 years later that girl is making her way to Ghent for FACTS. Jennifer Morrison is mostly known for her roles as Emma Swan in ABC's "Once upon a Time", Dr. Allison Cameron in "House M.D." , Winona Kirk in "Stark Trek" and Ted's girlfriend Zoey Pierson in "How I Met Your Mother". But she played in a lot of other movies and series. Jennifer Morrison started her career as a child model in the early 1990s. She appeared in several commercials and appeared on the cover of Sports Illustrated for Kids with Michael Jordan. In 1994, at the age of 14, she made her movie debut in "Intersection" (as Meaghan Eastman) and in the same year she also played a role in "Miracle at 34th Street" (as Denice). In 1999 she appeared in "Stir of Echoes" (as Samantha". Her first leading role followed in 2000, when she lands the role of Amy Mayfield in"Urban Legends: Final Cut". In the years following Morrison appeared in several movies and in 2004 she got her big break, when she landed the role of Dr. Allison Cameron in "House M.D.". After this her career ended in an upward spiral and now at the age of 39 Jennifer is more popular than ever, because of her role as Emma Swan in the immensely popular "Once upon a Time". Jennifer Morrison will be attending FACTS on both days. I think everyone knows Charles Martinet or at least his voice. And I know a lot of you are thinking "No, I don't Liv", but believe me you do. Ever since 1990 Charles is the voice of Mario in the games of Nintendo and they remain popular among young and old. Charles also voices Luigi, Wario, Waluigi and tons of other Nintendo characters, Whoohoo. Besides this Mr. Martinet also lent his voice for Paarthurnax in "Skyrim: The Elder Scrolls" and other games like: "Ratchet and Clank" and "Star Wars: Galactic Battleground". Carolina Ravassa is mostly known for the voice of Sombra in the shooter game "Overwatch". Besides this she did voices for other games, like: "Grand Theft Auto 5" and "Max Payne 3". Carolina also played some roles in films and TV shows, like: "Mr. Robot", "Step Up 3-D" and "Maybe Tomorrow". Of course there will also be a lot of Comic Artists at FACTS. Because the list is humongous I will give you a selection below. for the complete list check out: https://facts.be/guests/ . And what is FACTS without Cosplay, check out the Cosplay Guests below the artists.